oh, sweet joy! : oh, sweet joy + wedding = love. I LOVE custom orders for weddings. It brings me a ridiculous amount of joy to see my products being a tiny part of a day that a couple will remember for the rest of their lives. SO humbling & SO cool! I sent this order out a few days before we left the country & Janel sent me some photos recently. I made my ((best seller)) Yellow Rose of Texas Headband in three different styles. They look great with those navy dresses, that's for sure! Here is a video of the wedding that is fun, inspiring, beautiful, and soundtracked by one of my favorite artists, sigur ros. perfect. This particular song ((gobbledigook)) is my favorite song to run to. Ryan & Janel from Tyler Faires Productions on Vimeo. all rights to the video belong to tyler faires productions. Call me lame, but I had chill bumps the whole time I watched it. 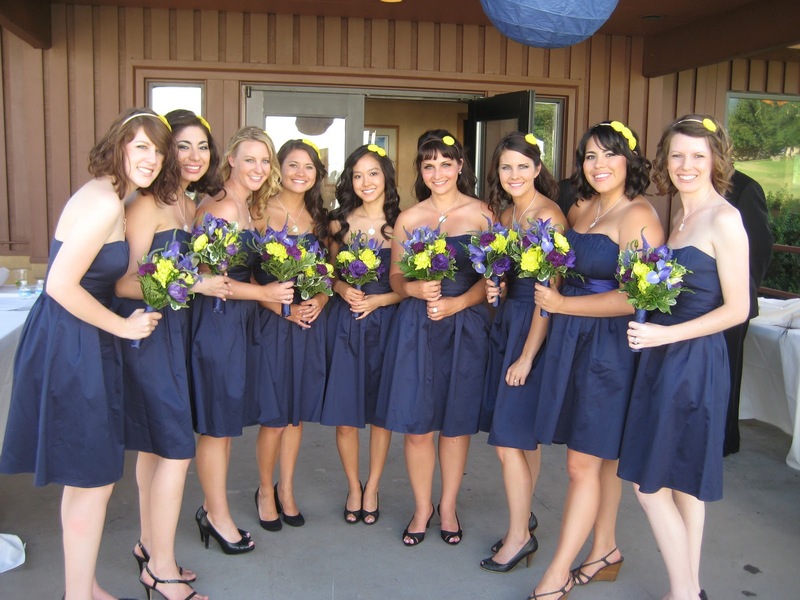 It's just so great to see your products looking beautiful as ever on some lovely bridesmaids! Congratulations to Ryan & Janel! i love this! YES that is so true. i've done orders for weddings and it made me nervous and excited because i wanted them to love their order esp since its part of such a sacred day. i love the yellow headbands with the navy dresses. beautiful! congratulations to you! that is so fun being able to have one of your items in a wedding. it makes it extra special! i am currently working on a wedding order for next year, and i am going to cry when i see the wedding party wearing my stuff. it's so rewarding! Aww - they look so great to those dresses! Congratulations!! How exciting, and absolutely beautiful they all look in them! As if that weren't enough, the whole wedding is gorgeous! WOW Kim. Your little headbands are so lovely! I knew that before, of course, but they absolutely make the dresses come together so well! Gorgeous, gorgeous. I love that color blue especially with those cute yellow head bands! So great. 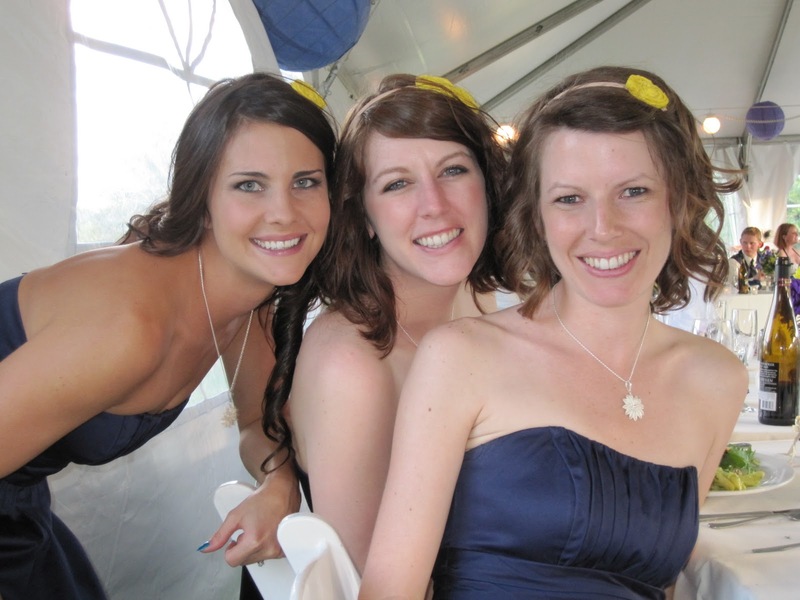 I loved your headbands in our wedding! 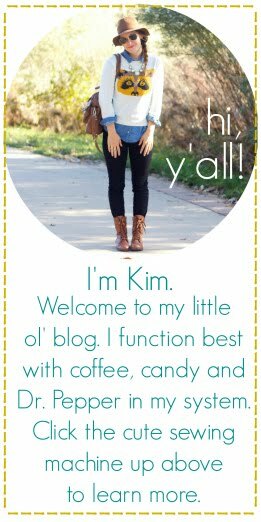 I looked for hair pieces for my girls for so long, so when I found your site I was so relieved. Thanks for putting together that order so quickly!!! About the video--I actually didn't want a videographer either until I saw Tyler's work (he was actually a friend from high school). His other wedding videos on his facebook page are amazing as well!